Jamie Foxx is an award-winning actor, singer and comedian who won an Oscar Award for his role as Ray Charles in the 2004 biographical film Ray. He gained fame for appearances in film such as Jarhead, Django Unchained, The Amazing Spider-Man 2 and Baby Driver. For his work in the crime film Collateral, he earned a nomination for the Academy Award for Best Supporting Actor for his role. He had his own TV show The Jamie Foxx Show from 1996 to 2001, in which he played Jamie King, Jr and went to gain further recognition with In Living Color and Beat Shazam. The most interesting thing about acting is when you go to the dark places, that’s a lot of energy. When you go to the happiest places, it’s also a lot of energy. Jamie Foxx was born on December 13, 1967 in Terrell, Texas, USA. He’s currently 51 years old. Foxx was educated at Terrell High School in Texas, where he was part of the basketball and football teams. In school, he was the first player to pass for more than 1,000 yards. He won a scholarship at the United States International University (aka Alliant International University), where he studied classical music and composition. Jamie’s biological parents are Darrell Bishop and Louise Annette Talley Dixon. His father, a stockbroker, changed his name to Shahid Abdula following his conversion to Islam. He was raised by his mother’s adoptive parents, Esther Marie (Nelson), a domestic worker and nursery operator, and Mark Talley, a yard worker. They adopted him soon after his birth and he hardly has no relation with his biological parents. Growing up, he had a strict Bapist upbringing and he was a time pianist and choir leader in Terrell’s New Hope Baptist Church. Being a prominent face in Hollywood, not much is known about his wife. Jamie, however, has two daughters Corinne Bishop (b. 1994) and Annalise Bishop (b. August 2009). Corinne is an actress and model, best known for her work with the fashion icons Ralph Lauren, Dolce & Gabbana, Kenneth Cole, and Wet ‘n’ Wild cosmetics. She was named Miss Golden Globe 2016 in November 2015. Foxx has had a number of affairs over the course of his acting career, including his current relationship with American actress Katie Holmes. They have been dating since 2014. His past relationships include singer Christina Milian, actress Meagan Good, rapper Lil’ Kim, actress Claudia Jordan, model Iliana Fischer and Leila Arcieri. That’s what’s great about the arts. Everything inspires you, and you get a chance to grow from watching other people and how they do their work. In our music, in our everyday life, there are so many negative things. Why not have something positive and stamp it with blackness? Jamie Foxx released his first studio album titled ‘Peep This’ on July 19, 1994. Following that, he has released four albums, including Unpredictable (2005), Intuition (2008), Best Night of My Life (2010) and Hollywood: A Story of a Dozen Roses (2015). Jamie made his first theatrical film debut as Baker in fantasy comedy film ‘Toys’ in 1992. After pursuing a career in comedy in the early 90s’, Jamie won his first acting job on the American sketch comedy TV series ‘In Living Color’ in 1991. He joined the main cast of the show with season five and played various roles until he left the show in 94. He got his start as an actor with a recurring role (a proper acting role) as Crazy George on Fox’s comedy-drama series ‘Roc’ in 1992. After being cast in fewer impact roles in movies throughout the ’90s, he got his first major break with Oliver Stone’s sports drama film ‘Any Given Sunday’ in 1999. This is the role that brought recognition and fame as well as earned him a few prestigious award nominations including Black Reel Award for Best Supporting Actor and MTV Movie Award for Best Breakthrough Performance. The year 2004 was his best in his acting career as he received two Academy Awards nominations for his starring roles in Collateral and Ray. He won the Academy Award for Best Actor and BAFTA Award for Best Actor in a Leading Role among other awards for his work in the musical biographical film Ray. Foxx has a net worth of $100 million. He resides in Hidden Valley, California. If you look at how long the Earth has been here, we’re living in the blink of an eye. So, whatever it is you want to do, you go out and do it. He spent most of his adolescent years in the black quarter of Terrell, which was then categorized as a racial community. His parents divorced following his birth and he has often stated that his grandmother’s influence in his life as one of the greatest reasons for his success. At school, he was good in sports and played football quarterback for his high school team. He took piano lessons when he was three years old. Jamie started his career as a stand-up comedian because he was naturally talented in telling jokes. During this time, he adopted the stage name Jamie Foxx to commemorate black comedian Redd Foxx. After a few years into his comedy career, he landed a starring role in the sketch comedy television series ‘In Living Color’ in 1991. Thereafter, he never turned his back in his ambitious creative career. Foxx holds a record of first person in Hollywood history to have been nominated for three acting awards at the Golden Globe Awards in the same year. Al Pacino to receive two acting Oscar nominations in the same year for two different movies. He is also the first African-American to be nominated for two Oscars in the same year. In 2006, People magazine named him as one of’s “Hottest Bachelors of the year”. He won a total of 22 awards for his performance in the 2014 film Ray including Academy Award for Best Actor, BAFTA Award for Best Actor in a Leading Role, and a Golden Globe Award for Best Actor – Motion Picture Musical or Comedy. 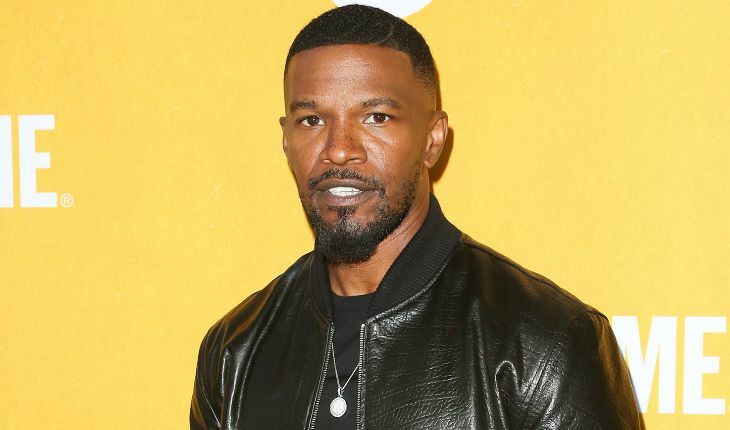 Jamie Foxx is a huge fan of the Miami Heat basketball team and professional wrestling. On September 14, 2007, Foxx was inducted into the Hollywood Walk of Fame at 6801 Hollywood Boulevard in Hollywood, California. He is good friends with Terrence Howard, Tom Cruise, Meagan Good, Idris Elba, Amber Rose, Luenell and Odell Beckham Jr.